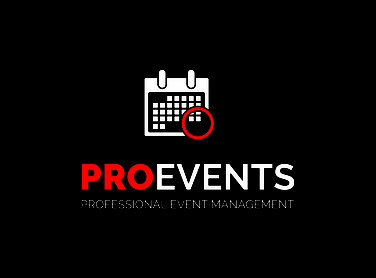 TESTIMONIALS - Website of proeventsnzltd! “I have worked with Jo for a number of years. I have found her to be hardworking, trustworthy, pleasant and easy to work with. She is a capable business person with good communication and organisational skills. Jo Finlay has been involved in Hospice EBoP’s food festival for the past 2 years - through Proevents. The Sunshine and a Plate food festival is the biggest food festival in the EBoP, and a really important way for Hospice to engage with the community and fundraise to help us care for locals in their final months, and live every moment the best they can. The 2018 festival was a logistical feat, organising 8 events plus flights, relying on community support from volunteers, businesses and our committee. Jo’s event management ensured that everything was organised on an achievable timeline and every detail was considered. Jo Finlay went above and beyond in her work to help Hospice EBoP’s Sunshine and a Plate food festival be a success. Her dedication, thoroughness, organisation and generous use of connections in the community to access discounted or free services made a big difference in reducing costs for the food festival and overall improving our bottom line. As a result of the 2018 festival, auction and raffles we raised $55,000 towards Hospice’s running costs for the year. We were able to connect more with those who want to hear from Hospice - gaining 830 email subscribers across the last 2 festivals, plus event attendees and raffle buyers (267 first time event ticket buyers across 2017/18 and about 360 new contacts through 2018 raffle sales, with most customers having bought multiple tickets). Jo has been generous with her time putting in extra hours beyond her contract, showing her commitment to Hospice’s cause, the community and any events she gets involved in. Hospice EBoP is grateful for the guidance, drive, expertise and structure that Proevents have given to last year’s festival. I personally believe that the skills and service Proevents bring to the Whakatane region are of huge benefit not only to the individuals or groups that make it happen, but also the community as a whole, with professionally executed, high-calibre experiences being delivered which make Whakatane a fun, exciting place to visit and live.